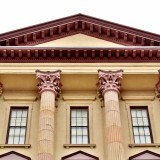 The Berks History Center is an educational center that serves to engage and excite our community by interpreting its unique past to understand the present. The Berks History Center has a vast collection of objects, paintings, books and photographs. 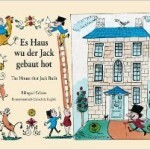 Included in the library collection are over 15,000 volumes, 523 Fraktur, 345 broadsides, 30,000 photographs. The Hay Creek Valley Historical Association was organized in 1975 with a mission to promote an understanding and an appreciation for our local heritage by maintaining and instructing in those crafts, skills, and artifacts that represent our heritage. With the acquisition of Historic Joanna Furnace in 1979 and 1980 from Bethlehem Steel, the mission broadened to include preservation, restoration, and maintenance of this 18th & 19th Century iron making community. Visitors to the museum get a glimpse of life in Cumberland County and its changes throughout the years. 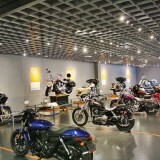 Our award-winning galleries, containing over 3,000 square feet of exhibit space, were redesigned and reopened in 2005. From the story of the early Native Americans to the creation of the turnpike, changes in the landscape and industries of Cumberland County are shown through historic artifacts. The military gallery represents county experience in American military history, from Molly Pitcher to Black Hawk Down. 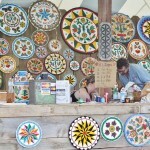 The work of talented local artisans is represented in furniture, quilts, pottery, paintings, and more. Particularly noteworthy are the Schimmel and Mountz woodcarvings, as well as materials from the Carlisle Indian Industrial School. Aberdeen Mills is located on the border of Lancaster and Dauphin counties in beautiful central Pennsylvania. This is a historical property dating back to 1770 and is truly an experience to visit. The buildings of Aberdeen Mills date to 1770. they consist primarily of the original stone house, a distillery which had been converted to a second residence, and the old mill, complete with race (like an aqueduct to channel water – built of stone). They remain in excellent condition and retain their historical integrity. The Aberdeen Mills property consists of wooded hillsides and wetlands, rocky meadows and a steep forested ravine, dotted with large boulders, through which the Conewago Creek flows in a series of picturesque rapids, pools and waterfalls. The property provides excellent habitat for wildlife, fish and other aquatic life. Built on a bluff overlooking the Susquehanna River, Fort Hunter Mansion and Park has served as a war fort, a hub for frontier commerce, and an exclusive private estate. Now preserved and open to the public, Fort Hunter Mansion and Park invites you to explore Pennsylvania’s rich history. The Hershey Derry Township Historical Society is home to over 50,000 artifacts and photos. Browse through our museum and learn about the early settlers of Derry Township and the community of Hershey. Derry Township Historical Society is dedicated to preserve, promote, and interpret the history of Derry Township, Dauphin County, Pennsylvania. Allison-Antrim Museum is a museum featuring local artifacts and history of Greencastle, PA and the surrounding community of Antrim Township. The museum is located within the borough of Greencastle. The Heritage Center is an excellent place to begin your exploration of the region. This historic building located on Chambersburg’s Memorial Square in the National Historic District is a renovated 1915 marble bank building, the former Valley National Bank. The Heritage Center is an interpretive center, explaining five areas of historical merit in Chambersburg and Franklin County through exhibits. There is also a Children’s Activity Room, and walking/driving tours are available by scheduling in advance (fee included). The Center opens the door to the distinctive history of Franklin County and its communities. The Institute operates a 30-acre historic site with 18th-and 19th century log houses and outbuildings, a German 4-Square Garden, a visitors center, a rose garden, an 18th-century summer kitchen, and provides access to an historic cemetery dating to the 1760s. The Institute’s buildings and its collections of historic costumes and other textiles, furniture, weaponry, and tools are stored, researched, cataloged, and sometimes exhibited. The Fort Loudon Historical Society maintains Fort Loudoun, an authentic French and Indian frontier-period fort.The site offers exhibits and occasional recreational and educational events (including living history events). The fort was built in 1756 during the French and Indian War by the Second Battalion of the Pennsylvania Regiment under Colonel John Armstrong, and served as a post on the Forbes Road during the Forbes expedition that successfully drove the French away from Fort Duquesne. 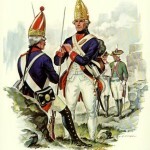 In 1765, following Pontiac’s Rebellion, settlers upset with the resumption of trade with Native Americans forced the British garrison to evacuate the fort, part of an uprising known as the Black Boys Rebellion. The historical society offers tours of the Old Jail museum, the John Brown House, the Brown’s Mill School, the Chambersburg-Bedford Turnpike Tollhouse and the Carrick Furnace. Renfrew Museum is a restored farmstead with many outbuildings to see and activities to participate in. Your tour begins at our Visitors Center with a DVD presentation, and an explanation of the nation’s leading collection of John Bell and Bell family pottery. Paid admission takes you on a guided tour of the 1812 Renfrew Museum where you will see the kitchen, dining room, parlors and bedrooms with period furnishings throughout. As an historical institution, Renfrew offers its visitors an intimate view of the past. Visit us and discover how the agriculture, industry and domestic life of over 200 years ago worked together to make a prosperous Pennsylvania German farmstead. Not to be missed is a display of farming and tannery tools, and the John Bell pottery permanent exhibit also in the Visitor Center. 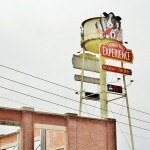 Take a nostalgic walk through small town America at the dawn of the 20th century. Museum exhibits include a barber shop, woodworking shop, tea parlor, print shop, millinery, toy store, blacksmith shop, tobacco shop, apothecary, wheelwright shop, and a country general store, where neighbors often gathered to share news and play a friendly game of checkers beside the potbelly stove. Our historic 1805 farmhouse and 15 acre farm is the only home available for tours that an Amish family actually lived in. Our 45 minute guided tours will educate you and your family on the history of the Amish community in Lancaster county. The room by room experience will show how the Amish function without being connected to the electric grid. Included in your house tour is a self-guided tour of our 15-acre farm with fun activities like the scooter run, schoolhouse visit, and farm animal feeding. Our Authentic Farm features: the original 1803 stone bank barn -a unique Pennsylvania Dutch design; An original tobacco shed set up as a tobacco stripping room, tobacco plants hang from the ceiling of the building where you can learn how this important crop is grown by local Amish farmers; A blacksmith shop highlighting the art of the blacksmith; In the barn and the surrounding meadows are many animals including goats, sheep, steer, chickens, turkeys, alpacas, pigs, and more! The Fisher Family Homestead & One-Room Schoolhouse. 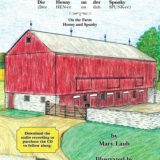 The Amish Country Homestead is a reflection of our commitment to accurately and sensitively portray the Old Order Amish as they live and work in today’s world. Inside the Homestead, we learn of Amish traditions and practices, plain clothing and life without electricity. The Fisher One-Room School is attached to the house and filled with authentic desks and furnishings from an actual Amish school. You’ll learn the tradition of teaching eight grades in one room. From the pantry stocked full of freshly canned vegetables to the family’s plain clothes… from propane-powered lamps to air-compressor driven appliances… the Fisher Family Homestead truly provides insights into the complex riddles of a culture so very different from our own. Located in the heart of Pennsylvania Dutch Country, The Amish Village is an authentic look at today’s Amish lifestyle. Located on 12 scenic acres, The Amish Village lets visitors tour an authentic Amish property, including a one-room schoolhouse, barn with farm animals, blacksmith shop, smokehouse market and more. We are also pleased to introduce a school teacher in our Amish one-room-schoolhouse, on Saturdays, during the Summer Season! While you’re here, explore our 12-acre Village Grounds, and take our 25 minute guided farmhouse tour. 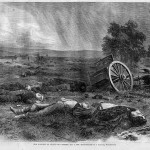 The events that occurred on September 11, 1851 in Christiana, Pennsylvania are cited as major flash points that led to the outbreak of the Civil War. These events are described in a guided tour by local historians at the Christiana Underground Railroad Center in an interesting and educational format for all ages. 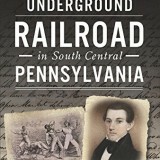 The persons, dates and the locations leading up to and following the Resistance at Christiana – originally called the Christiana Riot — are presented in an authentic and easy-to-follow format of maps, photographs and narratives.The map has been reproduced in a brochure that will guide you to the station master’s houses and the points of interest in the rolling hillsides of picturesque Lancaster County and neighboring Chester County. 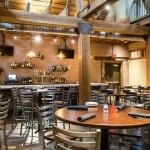 Come on in and pull up a chair. Whether you are a newcomer or an old timer you can get to know us and experience our rich heritage. The Society was founded in 1957. There is so much to see and learn about the Cocalico Valley. 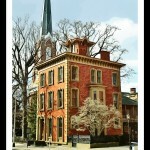 Visit the Theodore R. Sprecher Museum housed in the Connell Mansion in it’s Victorian elegance. You will find thirteen rooms of exhibits with collections from the early 1800’s to present and period room settings. Be sure to see the current feature exhibit. Located in southwest Lancaster County, Pennsylvania, the Penn Manor Area (the Penn Manor School District) consists of the Conestoga township, Manor township, Martic township, Pequea township and Millersville Borough. The Conestoga Area Historical Society is dedicated to preserving the history of the Penn Manor Area. We now have 7 major buildings making up our museum grounds. The buildings consist of the Tobacco Shed, the Steven Atkinson log cabin, the Michael Harnish Stone House, the Elmer Hoak Broom Shop (a toll booth), The Myers Tannery Shed, a replica of a Sweitzer Bank Barn, the Tobias Stehman Blacksmith Shop. One of America’s earliest religious communities, the Ephrata Cloister was founded in 1732 by German settlers seeking spiritual goals rather than earthly rewards. Gathered in unique European style buildings, the community consisted of celibate Brothers and Sisters, and a married congregation of families. At the zenith of the community in the 1740s and 1750s, about 300 members worked and worshiped at the Cloister. Admission to the historic site includes a self-guided exhibit in the Visitor Center, seven historic buildings which can be viewed before or after the guided tour, and a guided tour and self guided tour option. A guided tour takes you inside the Sister’s dormitory and the Meetinghouse, two places unaccessible on the self guided tour. The 1719 Hans Herr House Museum contains buildings and exhibits tracing the formation of Lancaster County and early America, including three Pennsylvania German farmhouses; several barns; a blacksmith shop, smokehouse and outdoor bake oven and an extensive collection of farm equipment spanning three centuries. The 1719 Hans Herr House is open to visitors Monday through Saturday, April through November. Docents in period dress talk about 18th-century life and lead tours through the küche, stube, kammer, attic and cellar of the oldest building in Lancaster County. Grounds and outbuildings are open to self-guided tours. 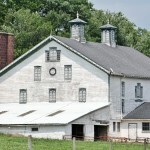 The Herr Family Homestead is a fine example of a Lancaster County farm property. You are invited to visit the buildings and grounds and to explore the history and traditions of Pennsylvania Germans in this southeastern area of the state. From 1845 until 1987, three generations of Herrs farmed the 92 acres that were all part of a William Penn land grant. Did you know that Lancaster was once the capital of the U.S.? Have you heard of the Conestoga rifle or the Conestoga Wagon? Can you name any famous local citizens who were instrumental in forging the development of our country? Come to Lancaster and we’ll tell you. Tour Guides are located within the Visitors’ Center located at 38 Penn Square. They are easy to recognize in their 18th or 19th Century garb representing such dignitaries as George Ross, Gen. Edward Hand, Adam Reigart, Matthius Slough, James Buchanan, and Thaddeus Stevens. Come early in the day and shop at Central Market before the tour. Nestled into the hillside along the Conestoga creek, sets the once vibrant iron plantation called Poole Forge. The spectacular 1700’s Iron Masters mansion, paymasters house, tenant houses, lime kilns and covered bridge dating from 1859, create the perfect setting for special events. This beautiful and peaceful setting provides the perfect backdrop for outside weddings, family reunions in the pavilion, casual get togethers around the playground and picnics throughout the park. Come discover the warmth and hospitality of President James Buchanan’s Wheatland. As you tour the home you will realize why President Buchanan described it as his, “agreeable country residence about a mile & an half from Lancaster” City. Tour guides share Buchanan’s family stories that reveal a stern, yet lovable bachelor uncle who raised orphaned nieces and nephews, cared for Lancaster’s widows and orphans and was a successful attorney. The Lititz Museum, Johannes Mueller House costumed, 45-minute guided tours and the gift shop are open 10 a.m.-4 p.m., Monday-Saturday beginning Memorial Day through the last Saturday in October. The Lititz Museum and the gift shop remain open 10 a.m.-4 p.m. every Friday and Saturday in November and December until the Saturday before Christmas. The entire facility closes for the season the weekend before Christmas. Landis Valley Museum was once an actual crossroads village. 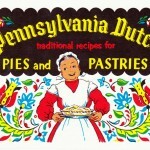 Situated on 100 acres in scenic Lancaster, PA, it is a living history museum that collects, preserves, exhibits, and interprets Pennsylvania German culture from the 1740s through the 1940s. 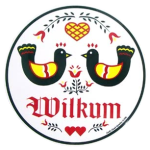 We are a living history village and farm, that collects, preserves and interprets the history and material culture of the Pennsylvania German rural community from 1740 to 1940. Landis Valley Museum’s richly layered story is the history of an early Pennsylvania German settlement, an unusual farm family and the ongoing creation and exploration of a wonderfully diverse collection of artifacts. When brothers Henry Kinzer Landis and George Diller Landis opened the museum in 1925 at their Landis Valley residence, the area had been a small Pennsylvania German settlement since the mid 1800s. Expanded to its current size, we now invite visitors to experience the 18th and 19th century village and farm life in Lancaster County, PA all in one visit. The Marietta Museum is inside the Old Town Hall that was built in 1847. On display are artifacts and memorabilia from early Marietta, such as the first Marietta fire engine (below) from 1840, examples of furniture made here and early photographs and records from the Marietta area. The Grand Army of the Republic (GAR) Post 226 was headquartered here, and many Civil War memorabilia and records are among the archives. P1010990 The adjacent 1855 miller’s house, once home to three generations of Resslers, offers a charming look at early 20th century housekeeping and family life. The home is preserved just as it was when siblings Franklin and Anna Ressler offered their neighbors the finest flour, along with neighborly hospitality. The Musselman-Vesta Iron Furnace Center is located in a restored two story building, one of the last vestiges of the iron industry that flourished here until 1930. 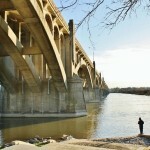 It now serves as an ideal location to learn about and explore the surrounding area. Ruins of the furnace can be visited daily from dawn to dusk. The Center is open 1:00 PM to 3:00 PM Sundays from May through October. Exhibits include photographs and ledgers from local iron furnaces, tools, and material samples. A scale model of the site is also under construction. There are no restroom facilities. Robert Fulton was a painter, American engineer, and builder of the 1st steamboat “Clermont”. 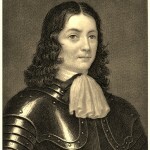 Visit his birthplace, in Fulton Township. Hours: Saturday 11:00 a.m. – 4:00 p.m. and Sunday 1:00 p.m. – 5:00 p.m. Memorial Day through Labor Day. Rock Ford Plantation, the preserved 18th Century home of Edward Hand who served as Adjutant General to George Washington during the American Revolution, is comprised of 33 acres at the southeastern edge of Lancaster City surrounded by Lancaster County Central Park. The mansion is on the National Register of Historic Places and is recorded in the Historic American Building Survey. Rock Ford is widely considered to be one of the most important examples of Georgian domestic architecture surviving in Pennsylvania and the most intact building predating 1800 in Lancaster County. The mansion’s elegant rooms are furnished with an outstanding collection of period furnishings and decorative arts. Rock Ford offers visitors an authentic example of refined country living as it existed during the early years of the Republic. Climb aboard our larger-than-life steam train and enjoy a 45-minute, round-trip ride through the tranquil Amish countryside to Paradise, PA and back. Marvel at more than 1,000 acres of farm fields as they pass by your window. Disembark and enjoy old-fashioned fun at Groff’s Grove or Leaman Place Grove, convenient recreation areas along the train’s route for mid-way boarding or unloading. Ride aboard our First-Class Cars for an especially memorable experience. Winters Heritage House Museum is a community driven effort to responsibly preserve and interpret several of Elizabethtown’s earliest structures and provide a place for the community to learn about its history, share this knowldege, and preserve it for future generations. The museum consists of three original in-town log structures dating from 1750 to 1847, and a Victorian era brick house dating to 1877. They are excellent intact examples of Scots-Irish log building, PA German building and Nogging construction. The two preserved log houses provide a rustic setting for year-round educational programs, tours, and demonstrations of interpretive folk traditions. The volunteer staff runs the museum, supports various interpretive committees, organizes building care and gardens, and operates the Seibert Library and Resource Center. Wright’s Ferry Mansion is a historic home located in Columbia, Lancaster County, Pennsylvania. It was built in 1738, and is a 2 1/2-story, rectangular limestone dwelling with a gable roof and pent eave. It was built for Susanna Wright, an English Quaker poet and businesswoman, and its architecture reflects a mix of English and Germanic elements. The mansion houses a superlative collection of Philadelphia furniture, English ceramics, needlework, metals and glass, all made prior to 1750 and is open to the public May through October, Tuesday, Wednesday, Friday, Saturday 10AM to 3PM. 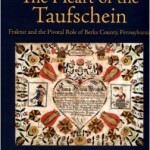 Historic Schaefferstown, Inc.’s Mission is the collection, preservation, study, and dissemination of the history and folk culture of the Pennsylvania Germans in South Central Pennsylvania, with particular focus on Schaefferstown, Pennsylvania. The organization provides information through educational programs for adults and children, tours of its buildings and collections, festivals and special events, and publications of research and promotional materials. 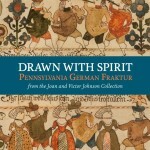 Throughout the museum, visitors will find fine examples of Pennsylvania German craftsmanship in such items as furniture, quilting and weaving, fraktur, and redware. A guided tour of the museum begins with a stroll through several early shops and offices. Young and old enjoy browsing in the one-room schoolhouse and the toy shop before experiencing a turn-of-the century general store, stocked with everything from cookie cutters to kerosene lamps. Community industries such as blacksmithing, farming and milling, carpentry, weaving, printing, shoemaking, and mining are exhibited as they were found throughout the area many years ago. Each exhibit provides insight into the lives of the men and women who built our strong nation. From war memorabilia to railroading to 18th Century firefighting equipment, a tour of the Stoy Museum offers a delightful and informative experience for everyone. The Lebanon County Historical Society owns and maintains the Union Canal Tunnel, the oldest existing transportation tunnel in the United States. 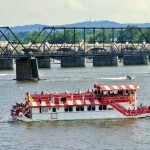 The Union Canal once linked the commercial centers of Harrisburg and Reading and, by extension, the port of Philadelphia. The tunnel and canal are located within the confines of Union Canal Tunnel Park, an open recreational area located at 25th and Union Canal Drive, Lebanon, PA. Narrated boat rides on the canal and through the tunnel are available for a nominal fee every Sunday, as weather permits, during the months of June through October, from 12:30 to 4:30PM. 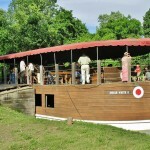 Enjoy a leisurely boat ride while learning some of the history of the Lebanon Valley. The Smithy is an historic site where trained blacksmiths demonstrate the skills needed to work in a 1700s blacksmith shop. In 2004, the Smithy was reconstructed of limestone taken from a local 1700s barn being torn down, and was built on the foundations of the original smithy, thanks to detailed records kept by the Moravians and stored in the Moravian Archives. The original vaulted cistern is intact. An archaeological report, tools, and metal objects made in the 18th-century smithy are in the Historic Bethlehem Museums & Sites collection. Step inside and go back in time to the early 1800’s after the Moravians had settled in Emmaus. The house preserves the architecture of the Moravian culture of Colonial Pennsylvania and illustrates the lifestyle of Colonial America. This beautiful renovated “time capsule” of the past is a vital link to our heritage and one of the oldest structures in Emmaus. Burnside Plantation is available for public tours by appointment. If you plan on visiting Bethlehem and would like to explore Burnside Plantation with a guide from Historic Bethlehem Museums & Sites, call 1-800-360-TOUR at least 48 hours before your visit. The museum is open for the public every Saturday from 12 – 4 PM. And Sundays 10am-2pm. You can also call to make an appointment at other times/ The mission of the Emmaus Historical Society is to collect, preserve and exhibit Emmaus artifacts, documents, histories, photographs and genealogy for displays and research and to offer educational programs and events throughout the year. 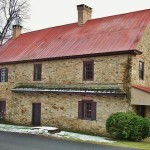 The 1810 Goundie House, built by Moravian town brewer and business man John Sebastian Goundie, is believed to be the first brick residence in Bethlehem and the first private home to reflect the new architectural American Federal style rather than the German Colonial style. The Goundie House is open to the public Tuesday through Sunday. Visitors can explore the “Bethlehem Brewed & Distilled” exhibit through guided tours at noon and 2 p.m. Admission to the Goundie House is available through Pass Into History, an admission pass which lets you explore between two and five historic sites. Haines Mill, an example of the Lehigh Valley’s agricultural heritage, is at the west end of Cedar Creek Park. It is a grist mill that dates back to the US colonial times. The mill uses water power to grind crop grains into flour. The original mill was built around 1760. The mill was reconstructed in 1909 after a fire gutted the interior of the building and operated until 1956. Today, the mill is owned by Lehigh County and operated by the Lehigh County Historical Society. Visitors can watch the mill operate as it did when it was a commercial facility. Take a step back in time and discover Historic Bethlehem with a Pass Into History. With one ticket, visit our beautiful sites, rich in the stories of Bethlehem’s past. Experience our museums and historic sites and be transported to another time and place. We offer tours on Saturdays from 11 am – 4 pm, on the hour every hour. Step into the the era of the American Revolution as you explore Trout Hall. Take an enjoyable trip into the world of the Pennsylvania Dutch rural community as you tour the Troxell-Steckel House, Claussville One-Room School, and Haines Mill. 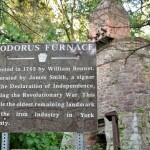 Learn how Lehigh County served as a birthplace of the American Industrial Revolution as you view the soaring remains of the Lock Ridge Iron Furnace and Saylor Cement Kilns. 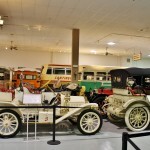 The Heritage Museum includes both permanent and rotating exhibit galleries featuring historical artifacts, photographs, and documents from the Society’s collection. The KNBT Historical Exhibit Gallery focuses on Lehigh County history from the earliest Native American inhabitants to the German settlers of the 1700s through the Industrial Revolution to mercantile and wartime accounts from the 20th century, leading to a reflection of our modern society. 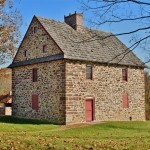 Lock Ridge Furnace Museum is a unique monument to the Lehigh County’s industrial heritage. It was an important part of the early iron industry. It operated as an iron mill from 1868 until 1921. The museum is operated by the Lehigh County Historical Society. Visitors can tour the rebuilt furnace room, the engine house, and the original cast house. Exhibits illustrate how iron was made over a hundred years ago. Numbered signs allow visitors to take a self-guided tour at any time. 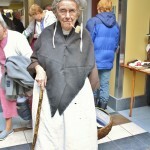 The Moravian Museum of Bethlehem introduces guests to the earliest history of the Bethlehem community. On tours, guests discover the remarkable stories behind Bethlehem’s founders, including early Moravian medicinal practices, communal living, missionary work, and a progressive educational system. The Moravian Museum of Bethlehem complex includes some of the most important and oldest buildings in the Lehigh Valley. Due to its incredible history and architecture, the Gemeinhaus has been designated a National Historic Landmark and is part of Historic Moravian Bethlehem’s National Historic Landmark District. The 1758/1765 Nain-Schober House is, according to the Delaware and Lehigh National Heritage Corridor Commission, the only extant 18th century building that was built by and lived in by Native Peoples in Eastern Pennsylvania. The house is a 1½ story structure with exterior walls made of white oak timbers with dove-tail joints and logs that are parged with stucco and scored to resemble coursed stone. The Nain-Schober House is open to the public upon request as part of the Moravian Museum of Bethlehem tour. he main attraction at this 2.6 acre site is the vertical cement kilns. The 90 foot kilns were a marked improvement over prior methods and helped make Lehigh County the center of the Portland Cement Industry at the time. Portland cement enabled construction of bridges, subways, and buildings that transformed America in the late 19th and early 20th century. The site is on the National Register of Historic Places. The open air museum is operated as by a partnership between Lehigh County and the Lehigh County Historical Society. It is open year round. The Coplay Creek runs through this 31 acre property, which was once part of a 400 acre farm. The centerpiece of the property is the stone farmhouse, built in 1756. 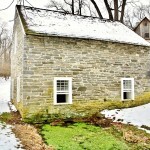 A spring house and 19th century barn are alo on the property. The farmhouse is an authentic Pennsylvania German farmhouse and offers an example of Lehigh County agricultural history. The Troxell-Steckel house was added to the National Register of Historic Places in 1980. The site is a great place to picnic as the early settlers did. The Lehigh County Historical Society operates the Farm Museum. The Jacobsburg Historical Society brings history alive at the Boulton Historic Site in eastern Pennsylvania. Continuing the practice and passion of the Henry Family of Pennsylvania for making and preserving history, the Society is your gateway to nineteenth century life and culture, Pennsylvania Longrifles, and much, much more. Visit us in person or on the web today! 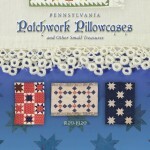 Governor Wolf Historical Society Museum contains historical items from the local area. Recently, the museum has undergone a major reorganization. Situated next to the Wolf Academy, this late eighteenth century home is typical of the beautiful Georgian-style square cut limestone houses built by the Scots-Irish and German immigrants who settled in this area. Built as the Allen Township Academy, Governor George Wolf attended and later taught in this beautiful one-room building. Our permanent exhibition features our outstanding collection of objects connected to: The expansion of the Moravian community through missionary service in Europe, the New World, Africa, and beyond; The establishment of the 18th-century Pennsylvania settlements of Nazareth, Bethlehem, and Lititz, as well as the Salem settlement in North Carolina; The significance of music and education in the Moravian culture. The Pennsylvania Longrifle Museum, which opened to the public in 2006, contains a substantial collection of original, hand-crafted Pennsylvania longrifles and items related to the making of longrifles from the eighteenth and nineteenth centuries. The museum features more than 100 historic arms on either permanent display or in rotating, topical exhibits. Displays feature Henry firearms dating from the American Fur Trade, the War of 1812, the Civil War, the American West, and the early twentieth century. 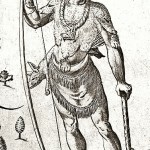 Most of the firearms were made by the Henrys of Boulton, but the collection also contains arms made by Abraham Henry. These and related exhibits are housed in special galleries at the historic Henry Homestead at Boulton. The Sigal Museum is Northampton County, Pennsylvania’s leading institution of local history, and home to significant collections of pre-European settlement artifacts, decorative arts and textiles, farming implements and colonial furniture. The Museum opened in summer of 2010, offering its visitors interactive exhibits, self-guided and docent-led tours, special children’s programs, and a lecture series on local and American history. It is one of four museums operated by the Northampton County Historical & Genealogical Society in Easton, the county seat. The Slate Belt Heritage Center was built in 1907 and originally served as the town hall, council chambers, borough offices, and fire department for the town of Bangor, Pennsylvania. 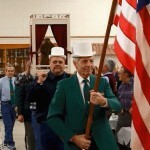 In 2000, the Slate Belt Heritage Center opened its doors to the public in order to serve as a tribute to the early Slate Belt settlers and showcase their unique blend of ethnic cultures. The center contains two floors of self-guided exhibits. The museum highlights the evolution of the fire service in the Hanover area and honors those who dedicated their lives to protecting the community. The fire museum will be a living and evolving museum with new and changing displays as items are received. 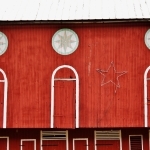 → Design Intervention: Filling the farmyard - LancasterOnline A short examination of the many types of outbuildings that would've been found on a typical Pennsylvania Dutch family farm. → PHOTOS: The Historic Inn at Lincoln Square - The Evening Sun The accompanying article for this photo gallery can be found here. → Lebanon's Snitz Creek Brewery brews "bologna beer" - Lebanon Daily News Check out all of their brews here. Sell iss en Video iwwer der 76th Barricks Kaunty Versommling vun dem 5. Abrill, 2015 in Leesport, Pennsylvaania. 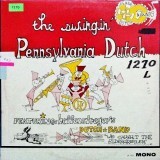 This entire video is in Pennsylvania Dutch. What will Hersheypark’s new 2015 attraction be? 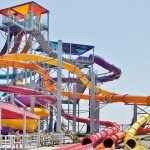 → What will Hersheypark's new 2015 attraction be? 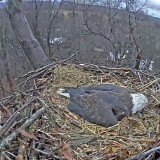 -PennLive.com You can view the clues for yourself here. 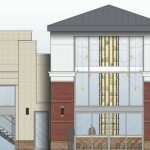 → New twist on general store retail concept coming to Royal Square -The York Daily Record Follow the link to see some pics of the new store. 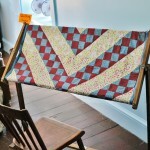 → Stunning quilts at MFA wow with colors and complex designs - Braintree Forum. Sight & Sound Theatres Introduces Moses - YouTube Moses will premier on March 8, 2014 and will run for one year. More details at sight-sound.com. Longing for fasnachts? Tell us where you like to get these tasty, doughy treats! → Can-Am Games open Sunday in York - York Dispatch Athletic competitions featuring first responders from around the U.S. and Canada. 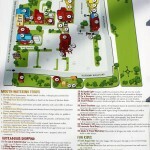 More info at yorkcanamgames.com. 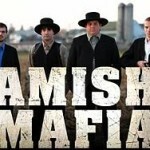 → Lancaster County's Amish mud sales: Not far by car | PennLive.com.